Now in Riding throughout America. Breast Thermography is a non invasive and non destructive way to screen for breast cancer without radiation or compression. It uses state of the art technology that assesses heat in the breast through infrared technology. Comparative exams can create a baseline for monitoring breast health based on thermal changes. 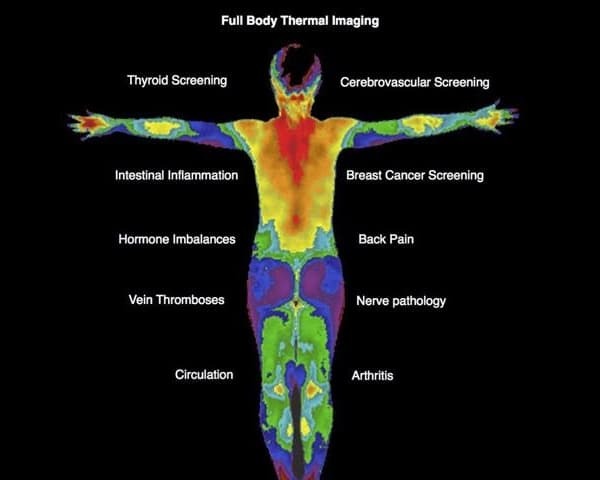 Medical Thermography is a whole body analysis for assessing skin surface temperatures that can be correlated by a physician to assess for abnormal physiology. Uses for thermography are similar to that of an oral thermometer, a stethoscope, or any other medical test that assesses patient function. There are several type of medical devices used by the medical thermologist. These include contact sensors, infrared cameras, and point analysis systems. The most technical and advanced system is the infrared thermal camera and is the choice technology of Breast Thermography International and the Professional Academy of Clinical Thermology. Infrared cameras measure radiation in the infrared electromagnetic emission that the human body emits. The sensors on the thermal camera read varying degrees of infrared emittance and through proper calibration translates it in to a temperature reading. The information is then plotted in a digital format in color palette. The most commonly palette is the rainbow (ROYGBIV) that shows hot measurements as red and white and cold as magenta and black. These patterns are then analyzed and physiological assessments are made. Who Interprets Medical Thermography Images? Board Certified Physicians interpret thermography images. 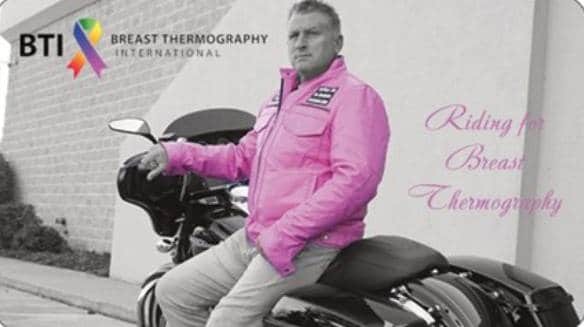 Breast Thermography International relies on the advanced training and certification through certification through the Professional Academy of Clinical Thermology. Our thermography interpreters have over 40 years of experience in medical thermography. Every image is analyzed by three levels of interpreters with varying degrees of expertise. A complete assessment of your skin surface temperature measurements will be compiled in a multi-page report after our medical thermology team has completed their in-depth work. Reports will be issued in a digital format so you may enjoy the high resolution images on your favorite digital device. You will see various measurements and comments based on your findings that will need to be investigated by a physician. Medical Thermology reports are easy to understand by your doctor as their training in physiology and anatomy is extensive. If they need help understanding our team of doctors are always willing to lend a hand. A baseline study is usually needed so that future comparisons can be analyzed. Where can I find a Certified Thermography Lab Center? Breast Thermography International has many labs throughout the USA and other parts of the world. These thermography centers are operated by Certified Thermographic Technicians that have had intensive medical thermography training. All technicians are required to use PACT Board Certified Interpreters. All patients records are held by our central organization and you will be able to choose to go to any of our locations seamlessly. We are a network of thermography lab centers throughout the USA and parts of the world.